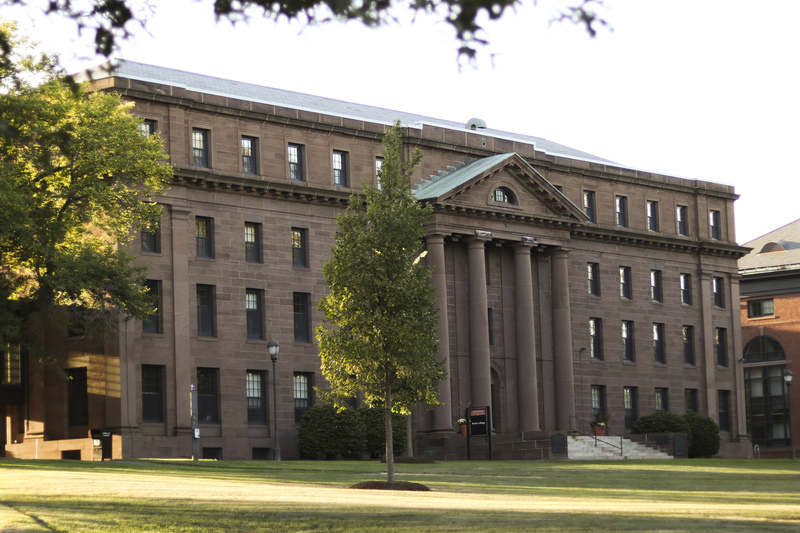 According to a publicly available complaint filed on Aug. 4 in the Superior Court District of Middlesex, the University and former student and Residential Advisor Andrew Barer ’84 are defendants in a lawsuit that claims Barer sexually abused minors in University dormitories and basketball facilities between 1982 and 1984. Courtroom action was scheduled to begin on Sept. 11. Of the seven allegations in the case, the University is being sued on two counts of negligence by the plaintiffs, Craig Salamone and Doug Cartelli, who were Middletown residents and middle-schoolers when the alleged conduct occurred. “At all times relevant to this action, the defendant, Wesleyan University, knew or should have known that the defendant, Andrew Barer, sexually abused, sexually assaulted, and sexually exploited the minor plaintiff, Craig Salamone,” Count One of the complaint reads. Barer was also a member of the University’s basketball team, and the complaint alleges that he used the University’s basketball facilities as a location to sexually abuse children. Barer would lure minors with the promise of teaching them “plyometrics, stretching, and other physical activity in order to enhance their athletic ability.” In the winter of 1983, when Salamone was thirteen, the complaint states that Barer invited Salamone into his Wesleyan dorm room to develop his exercise and stretching techniques, but proceeded to sexually abuse him. Count One point 17 alleges that the abuse continued with other unnamed minors during this period. Cartelli details a nearly identical pattern of sexual assault that took place between 1982 and 1984, starting when the Plaintiff was 12. The President’s Office declined to comment on the matter, in line with the University’s policy not to opine on pending litigation, although University Manager of Media and Public Relations Lauren Rubenstein did speak on the threat of sexual violence more broadly in an email to The Argus. “We take very seriously and condemn any sexual violence, especially involving minors,” Rubenstein wrote. The complaint continues by arguing that the University employees breached their duties in five key respects and that Barer’s actions were “foreseeable” and could have been prevented if the University had met its obligations to monitor its resident advisors. While the more specific details of the case will only emerge as the litigation progresses, Salamone and Cartelli’s lawyers believe that University administrators and employees failed to scrutinize Barer’s past conduct or monitor his behavior while he attended Wesleyan. “Administrators, professional staff, coaching staff, security officers and other employees knew, should have known or could have known that the defendant, Andrew Barer, had taken the minor plaintiff, Craig Salamone, into his dorm room located housing facilities on the Defendant, Wesleyan University’s campus,” the complaint reads. Among other charges, the complaint argues that the University failed to investigate the matter or warn parents and guardians of children that Barer may have had contact with in his role as a University residential advisor and varsity basketball player. “…[T]hey negligently hired the defendant, Andrew Barer, when a reasonable investigation or background check would have uncovered the danger that the defendant, Andrew Barer, posed to children including the plaintiff, Craig Salamone,” the complaint states. The YMCA of Northern Middlesex County is another defendant in the suit, where Barer served as a camp counselor to Salamone on a Bike Tour of Martha’s Vineyard in the summer of 1984. In Connecticut, the statute of limitations for the prosecution of the sexual abuse of minors is within 30 years of the date the victim turns 18, or within five years of the date the crime is reported to any police officer, according to Connecticut General Statute § 54-193a (2012). This is not the first time Barer has faced legal action for accusations of misconduct involving children. An article from the New Canaan Advertiser reveals the details of Barer’s prior arrest in January 2014 and his dismissal as the Youth Program Director of the Outback Teen Center. The article describes another incident where Barer supposedly asked for the phone numbers and email addresses of several fifth-grade boys. At the time, Barer denied the charges. According to the article, two of the boys who had given Barer their information received a series of phone calls from the same phone number. This story will be updated as the litigation process unfolds in Middlesex’s Superior Court. Aaron Stagoff-Belfort can be reached at astagoffbelf@wesleyan.edu. After learning of the allegations, it seems like the prudent course of action for university leadership would have been to immediately compensate the plaintiffs for the horrors they suffered at Wesleyan and avert a potential PR disaster, with yet another former Wesleyan employee alleged to have committed sexual misconduct against Middletown-area minors. Instead, it appears to me that Wesleyan might actually considering defending the allegations, forcing the plaintiffs to relive their traumatic experiences. Did Wesleyan actually think that no one would stumble across this on the online court records and alert somebody? Very questionable decisions being made, but par for the course, I suppose. But go ahead, President Roth. Keep lying about “University policy”. See where it takes you. How does a court reach the truth in a event that occurred nearly 35 years ago? This is why we have statutes of limitation.